Our Sun and the collection of bodies that are bound to it by gravity. Our Sun and the collection of bodies that are bound to it by gravity. 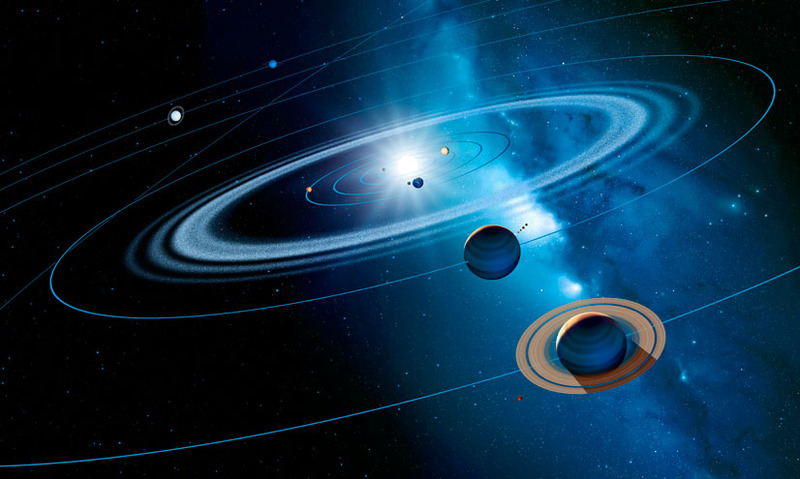 These include the eight planets and their moons, the asteroid belt, the comets and the Kuiper belt. As far as we can tell, most stars have some kind of planetary system, but ours may be unusual in that its gas giants are the most distant planets, rather than closest to the star. As far as we can tell, most stars have some kind of planetary system, but ours may be unusual in that its gas giants are the most distant planets, rather than closest to the star.